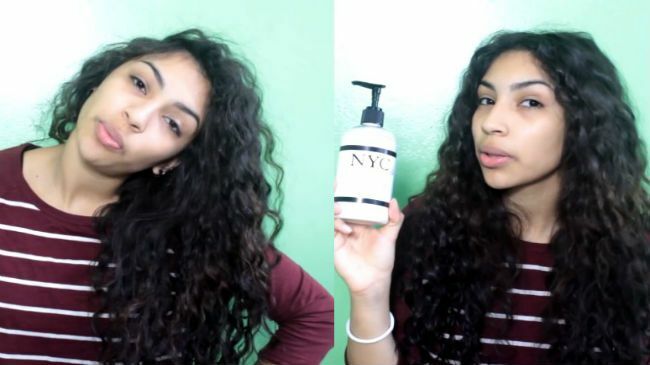 NYC Curls Curl Conditioner is one of our Top 20 Silicone-Free Daily Conditioners, and I had the opportunity to put that proclamation to the test. I used the Curl Cleanser, the Curl Conditioner and the Curl Styling Gel and I want to share with you all my opinions on the system and how it affected my wavy curls. First off, I immediately liked the fact that all their products are sulfate-free, silicone-free and paraben-free. Each product also has unique extracts such as ginger, olive oil and peppermint. 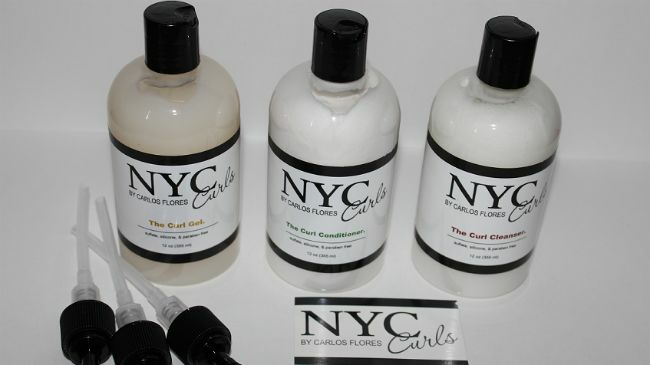 So far, the Curl Cleanser is my favorite of the whole system because you can really feel the ginger and peppermint. I personally love the fresh minty feeling on my scalp and this cleanser gave me just that. And I should let you know that it is not a sulfate free shampoo, it is actually a co-wash, but it cleansed well for a cowash. The cleasner left my curls clean and moisturized and not feeling stripped. Although I liked the cowash, I am not a huge fan of the conditioner. My hair is normal porosity and I feel like the conditioner did not penetrate my hair strands, I felt like it sat on top of my strands. I feel that the conditioner would do well as a leave in rather than a rinse out, but I think that the conditioner would have been more moisturizing if I added an oil to it. It could also be useful as a curl refresher in the morning. I avoid using styling products because my fine hair strands are easily weighed down by even the smallest amount of product, but I was pleasantly surprised to find that the gel was very light and it gave my hair great definition and shine. My wavy parts were encouraged into a nice twirly curl, which I really liked. Now here are the cons, in my opinion. The smell is insanely strong, like, super strong. It will fill your shower with a ginger aroma, which I personally didn't mind--but I know some people may be sensitive to fragrances, so beware. Also, this system is not the most economical. Each product costs $18.99, and I am a person who thinks SheaMoisture is expensive so this price almost gave me a heart attack. You can get it here in Curlmart to test it out for yourself. We're giving away 2 full sets of the cleanser, conditioner and the gel. Simply comment below! Two winners will be randomly selected on Friday, January 23.